Norton has an all-new iOS app for Norton Security subscribers which helps deliver powerful, effective protection against cyber threats and online scams. 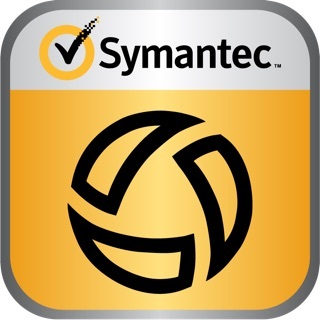 Brought to you by Symantec, it’s the security app you need on your iPhone and iPad. Wi-Fi Security - Connecting to public Wi-Fi can be a cost-effective way to save data and bandwidth, but it may come with risks. The Wi-Fi Security feature helps alert you if an unknown party on the same network is spying on your online activity, known as a “man-in-the-middle” attack. With this type of attack, a cybercriminal is able to read, insert and modify communications between two users or systems. These cybercriminals may steal your passwords, bank account information, and other personal information. New Norton Security protection for iOS devices allows you to connect to public Wi-Fi with more peace of mind by helping to detect threats, then warning you if your connection is not secure, or if cybercriminals are intercepting your communications. ► Wi-Fi Security Green: No suspicious activity or man-in-the-middle is detected. ► Wi-Fi Security Orange: You’re connecting to an unsafe or unsecured network. We recommend using a VPN service like Norton Wi-Fi Privacy to ensure your data stays private. ► Wi-Fi Security Red: The network you’re connecting to is under a man-in-the-middle attack. We highly recommend that you disconnect. ► Norton notifies you when it’s time to take action. Help stop cybercriminals from stealing your passwords, bank account number or other personal information. Web Protection. Helps protect your device against online scams by alerting you about websites and links detected as unsafe before you visit them. Web-based attacks target users who are browsing online. By clicking on an unsafe link, you could be tricked by cyber attackers who may attempt to deceive you and steal your personal information. Rest assured with Norton Web Protection in the Norton Security iOS app that helps you safely navigate the web. Device Security. Norton Security iOS monitors your device to check that the operating system is up-to-date. By notifying you of the latest security patches and iOS updates, Norton Security iOS helps you keep your personal data safe while online. Symantec respects your privacy and is dedicated to safeguarding your personal data. See http://www.symantec.com/privacy for more information. Minor bug fixes and product improvements. When NORTON updated their mobile security for iPhones they did no one any favors. The new version at noted by another reviewer often does not recognize my Wi-Fi network and says I am not connected when in fact I am. And the I have to disconnect and and reconnect in order for the Norton app to recognize the network. The other main problem, and this is even far more aggravating in my opinion is the amount of battery that this app use while running in the background. Upon checking I find that over a 10 day period the Norton app had taken up 32% of the battery usage. Over the next 10 days it had eaten up 36% of the battery usage. I got one have better things to do than continually worry about keeping my phone charged because an app is eating up all the battery life. I have removed the app from my phone. I might check at some point in the future to see if Norton has addressed and fixed these issues. Sorry for the trouble. With regards to the WiFi network being diconnected, this behavior is observed sometimes on iOS generally with any VPN connection, and is not limited to Norton Security for iOS alone. Please follow the steps here when you face this issue again:https://support.norton.com/sp/en/us/home/current/solutions/v129903722_EndUserProfile_en_us. Also, we appreicate your feedback on the battery performance and we will pass on your feedback to the delveopment team. You feedback is really important to us. UPDATE: After a couple of hours, I reactivated the “online” function of the app, and it seems to be humming along with no appreciable delays or issues. I will up my rating from two to three stars now, and report on its long-term performance after about a month. When I attempted to browse the web, it not only froze, there were no alerts or notifications as to the reason. I deactivated the VPN (web browsing), so I could access the internet. Now it tells me I am not being protected when I am on the web. It makes some sense. With the function on I cannot use the internet. No chance of running into a malicious site. If that’s the choice, I’ll take my chances and keep it turned off.